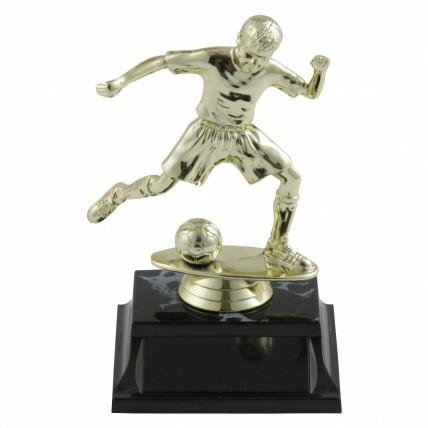 Youth soccer award trophies show your budding soccer star how proud you are of their efforts! 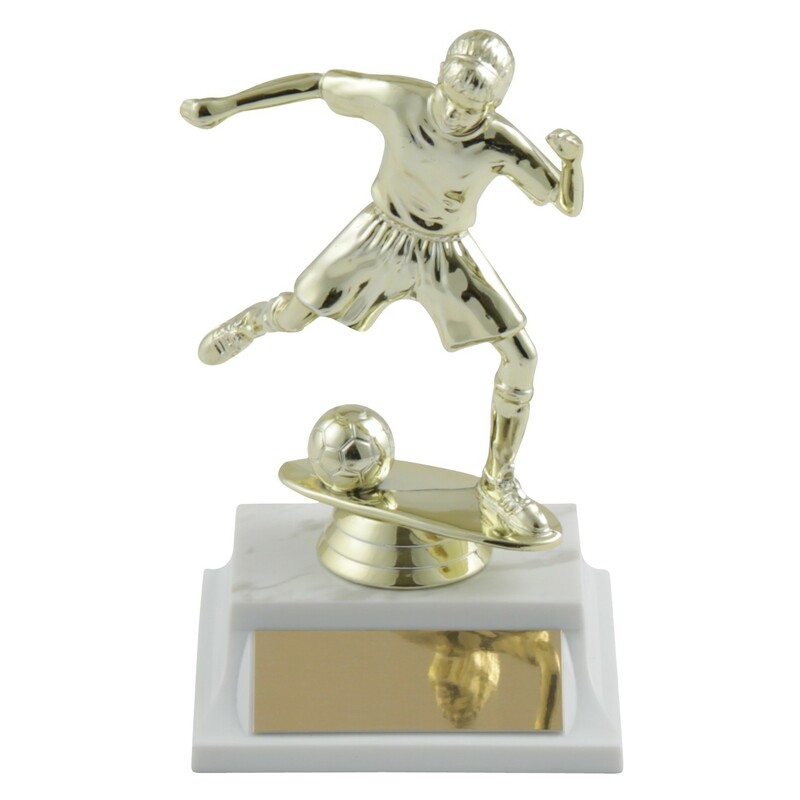 This youth soccer trophy features your choice of a male or female golden youth about to kick the soccer ball right off the base. It's a youth soccer trophy that will surely sit on his/her shelf of treasures to serve as an inspiration for years to come. 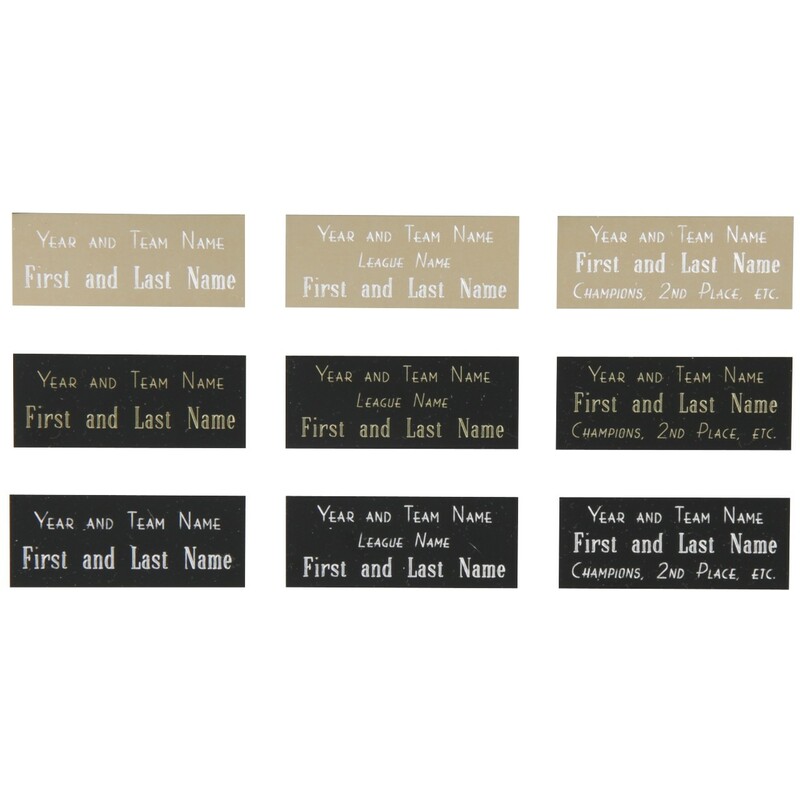 Give Youth Soccer Award Trophies to your young soccer stars today.